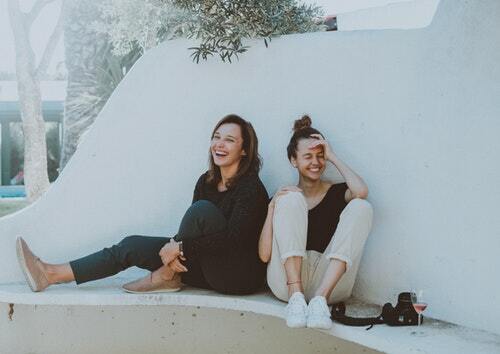 Your dear BFF has been burying herself in endless preparations for her upcoming wedding that you feel she’s forgetting to do one thing: relax. For days on end, she goes through her invitations and frets about her dear aunt’s choice of corsage. Although it is normal for any bride-to-be to fuss over the minutest details of her wedding, it can sometimes be unhealthy- especially if all that worrying keeps her up at night. As a concerned friend, there are some things you can do to help ease her burden. Take her out for coffee. She may just need a breather. If she’s not into caffeine, take her to dinner, or to lunch at her favorite joint. Even just an hour a week will work wonders. Take on some of the duties. If she has delegated some of the wedding preps to you, do your job (for her sanity’s sake!). If you can still manage, volunteer to do more. Going the extra mile for her will make her appreciate you more as a friend. Remind her that it’s ok if things don’t go as planned. We don’t hold the key to the future, so mishaps are bound to happen. However things turn out, tell her to just smile and keep looking gorgeous. This entry was posted in Occasion/Event, Personal and tagged marriage, wedding jitters, wedding preparations on January 29, 2019 by Yami.